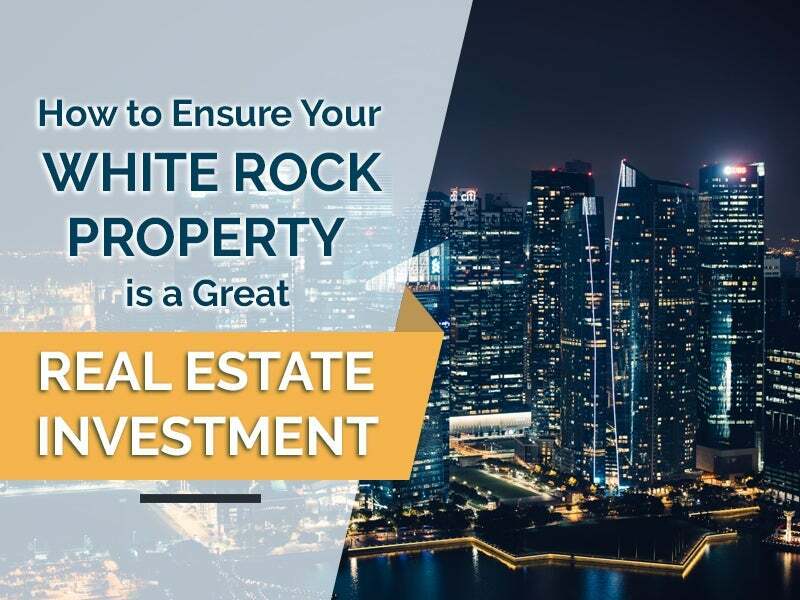 While there is no question that the White Rock community is a magnificent place wherein you can settle or do business, there are still plenty of things that you need to consider in order to ensure that you will have a successful investment. Whether you are looking for a property that will be your home, or one that can be renovated for selling, or you simply want to rent it to tenants, the possibilities of unexpected events that can affect the value of your investment is almost inevitable. In order to minimize the risk, choosing a trusted White Rock Realtor that can help you is a must. From property evaluation to management costs, you will be guided on how to deal with possible and unexpected problems. Here are the top things that you must take into account in case you are planning to buy a real estate property in White Rock. Can the Property Pass an Inspection? There is no denying that not all properties can pass an inspection. This usually happens on real estate properties that have been foreclosed by the bank and were neglected over the years. If you’re thinking of doing business and you are considering a property that has been vacated for years, then it would be a wise move to hire experts that can tell you if there are significant structural issues that essentially make it unlivable or unworthy of your money. While it may come cheap, you might spend a large sum of money for repairs and maintenance in the long run. What Do You Need to Upgrade in Order to Increase the Property’s Value? White Rock is no doubt becoming a top target of people who want to live in a relaxed and peaceful neighborhood. If your main objective is to buy a property in White Rock, make the necessary renovations and then put it up on the market for sale, then you need to know the areas that need improvement and of course, the cost. There are properties that require simple restoration or modernization and there are those where everything seems to be outdated. Most of the time, installing new floorings or doing a fresh paint job is not enough to serve the purpose. A careful estimate of the cost is crucial to ensure that you are on the winning side. How Much Time Do You Have Before You Invest in the Property? Whatever your reason is for buying a real estate property, it is important to determine the time that you have before you do so. The market is constantly changing and the competition gets tighter everyday especially in White Rock. How much time can you dedicate to your real estate investment? Whether you are to deal with significant upgrades for a home you want for yourself or if you will be renting the property to tenants, you must carefully estimate how much time you have as well as the market’s condition. Why Do You Need A Competent White Rock Realtor? The cost involved in real estate investment sounds like a foreign language to most. Even if this is not your first time, making a mistake when it comes to buying a property seems to be always around the corner. From the costs and overhead expenses that may arise such as in utilities, maintenance concerns, legal fees, vacancies, and evictions, it seems quite easy to fall victim to these unexpected expenses. In order to ensure that you will have the best possible return on your investment, you should find a competent and experienced realtor that specializes in White Rock. If you feel that Westport Properties can help you, please don’t hesitate to give us a call.